DETROIT – The 2018 Toyota Highlander got a new V6 engine with an eight-speed automatic transmission. There were three USB jacks plus a 12V plug next to them. We checked out the center console and it was deep enough for a sliding tray. At the bottom was another 12V jack. And in the second row at the base of the center console were two more USB jacks and a 120V plug. Every passenger can plug something in, even with the Highlander’s three rows of seats. The Highlander will automatically shift into all-wheel-drive mode if the system senses wheel slippage or under aggressive accelerations. Normally, 100 percent front-wheel-drive, the Highlander’s all-wheel-drive system is capable of sending 50 percent of its torque to the rear wheels. The driving characteristics of the 2018 Highlander were very good. It was quiet, the suspension smoothed out the bumps and lumps in the road and handling was good. It went where we steered it. There wasn’t any rocking or swaying and other than that rattle when we turned the volume up on the audio system, noise, vibration and harshness were minimal. It was a comfortable ride. It had a MacPherson strut front suspension and double-wishbone rear suspension. The latter is better for handling versus a link setup and the Highlander really did handle well, it stayed glued to the road. 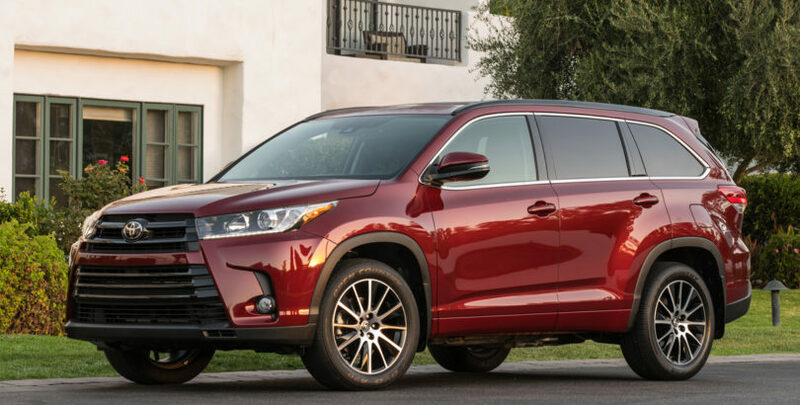 Importantly, though it had three rows of seats, the 2018 Toyota Highlander didn’t drive big. Nor was the sticker that big: this Highlander cost $47,634 as tested.